According to the Center for Disease Control and Prevention (CDC), 40 percent of the opioid-related deaths that occurred in the United States in 2016 involved a prescription opioid. Opioids are a form of medication prescribed by a healthcare professional that are used to treat unrelenting pain, typically caused by an underlying illness or as a result of surgery. With so many patients in the United States abusing their opioid prescriptions, it is hard to comprehend why many doctors nationwide continue to prescribe these highly-addictive pain medications. However, with the easily-accessible nature of these drugs and given the severity of a patient’s pain or suffering, opioids such as Oxycodone and Hydrocodone have become a popular choice for both medicinal and recreational use. Fortunately, alternative, non-addictive forms of pain relief are becoming more frequently prescribed to patients. While Cannabis Sativa still has a negative stigma revolving around it and receives political backlash, the pain relief it provides for users may be enough to help patients shy away from opioid use. Cannabidiol (CBD) is one of the many compounds created by the Cannabis plant, and it is often recognized alongside Tetrahydrocannabinol (THC). The difference between these two compounds is that CBD is non-psychoactive, providing the same benefits as THC without the euphoric feeling that THC produces. This has allowed for the legal sale of products such as CBD oil, as it does not contain THC and cannot be abused or cause a dependency. CBD oil is still a fairly new product, which has limited the scope of existing research into the health benefits of this substance. However, scientists and doctors are starting to introduce this form of pain relief amongst select patients and new data is being continuously gathered as to exactly what benefits CBD oil can provide to patients. How Does CBD Oil Relieve Pain? CBD oil is believed to behave the same way that opioids work within a user’s body. By interacting with pain receptors in the brain and the immune system, CBD provides relief from the pain. However, it should be noted that the CBD is not directly causing a patient pain relief. The human body contains an endocannabinoid system, which allows it to regulate substances such as CBD. According to a study conducted by Neurotherapeutics, CBD actually promotes other compounds within the endocannabinoid system from being absorbed, such as anandamide, a compound known for reducing pain. This creates an abundance of anandamide in the body, which results in pain relief. While CBD is a potential alternative to opioid pain relievers, it is also showing success amongst patients who suffer from serious diseases. 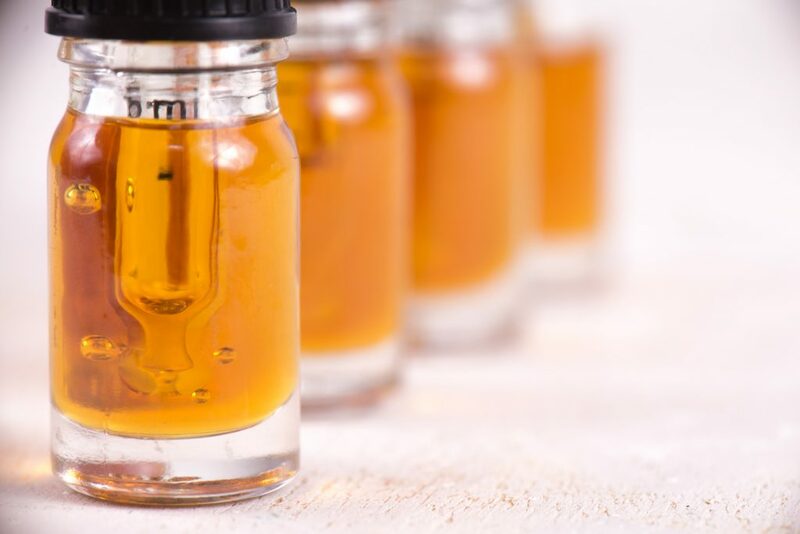 In a recent study published by the New England Journal of Medicine, 76 patients with Lennox-Gastaut Syndrome, a rare and severe form of epilepsy resulting in seizures, were given 20-mg of CBD twice a day for 14 weeks. As a result, this group of patients had a 41.9 percent decrease in the number of seizures they experienced. Epilepsy has shown some of the greatest success for CBD usage out of all diseases that have utilized this treatment method. Many epilepsy patients have to take multiple pills a day to reduce the frequency of their seizures, and some patients even have an implant that sends electrical pulses throughout the body to regulate seizures. For patients with such severe epilepsy, CBD is a breath of fresh air. While these trial results are very promising, some researchers are still skeptical about its success amongst cancer patients. CBD has not been scientifically proven to reduce the size of cancerous tumors in humans, but studies have shown that it may be effective in treating symptoms and side effects of chemotherapy. For cancers such as mesothelioma, whose treatment options are intensive, this may be a safe and effective way for patients to relieve pain without the health risks of opioids. Aggressively spreading cancers tend to cause a severe amount of pain for the patients, and patients’ overall quality of life will improve if they do not have to worry about becoming dependent on opioids while also receiving treatment for their diseases. As the stigma associated with Cannabis diminishes and more countries around the world begin to legalize it, more research will be conducted involving CBD as a form of pain relief. Too many people have fallen victim to opioid addiction, and with non-addictive pain management alternatives gaining in popularity, the number of yearly opioid-related deaths is predicted to decrease. David Haas is a health advocate specializing in mesothelioma. He works to ensure everyone has access to information about the disease and advocates for a complete ban of asbestos in the United States.